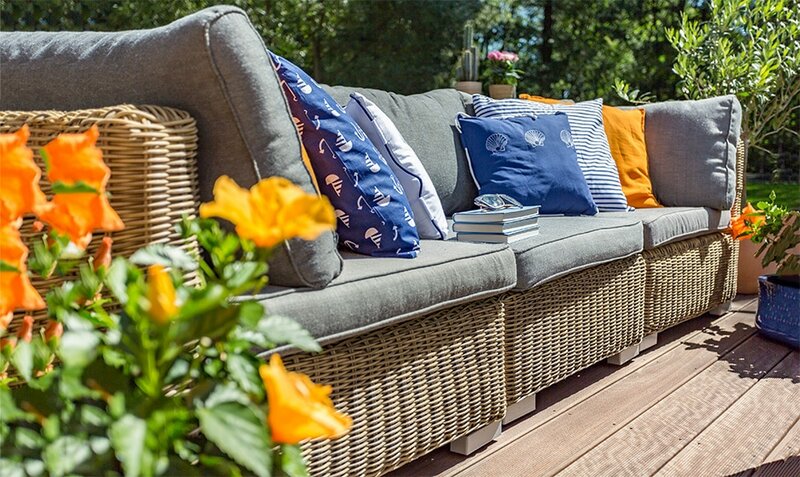 The MyPatio Collection of outdoor living products are designed to enhance any outdoor space so every homeowner can create their own backyard paradise. Dine, entertain and make memories in style all season long. Just because its dark out, doesn't mean the night has to end. Lean back and enjoy the comfort and sophistication of your own backyard. The My Patio collection can bring an upscale feel to any outdoor space. All our products are designed with style, comfort, durability, and functionality in mind. Our lines range from casual, contemporary, traditional, modern, to a mix of eclectic pieces. All our furniture can be customized to your exact needs. 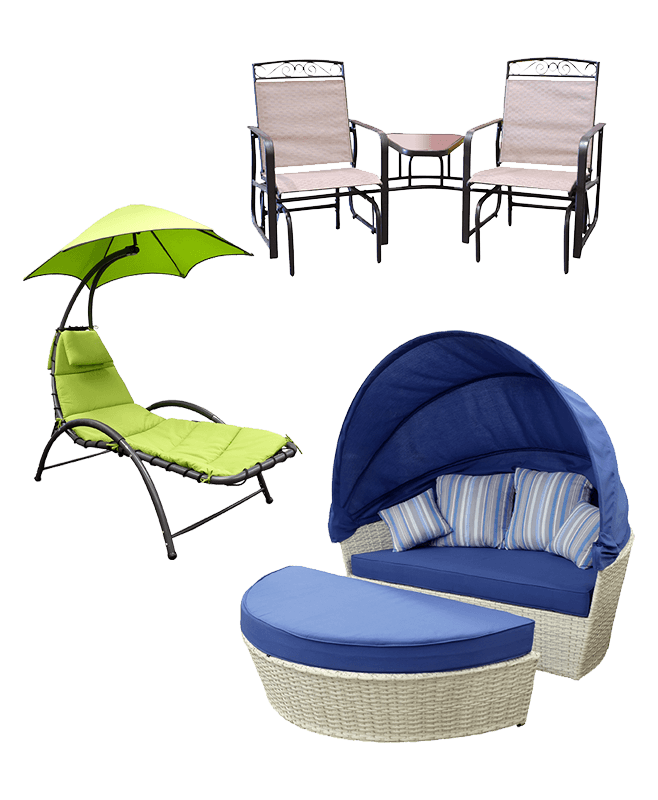 The My Patio collection aspires to transform any backyard, deck, and patio into an outdoor oasis. Every season we aim to develop an inspired collection of outdoor living products that offer maximum comfort and style. Our expert knowledge of raw materials and production techniques allows us to provide the best quality and value in the market. Each piece of our collection is built and designed to ensure they match upcoming trends but durable to last year after year. Relax, laugh, and make memories right in your backyard. 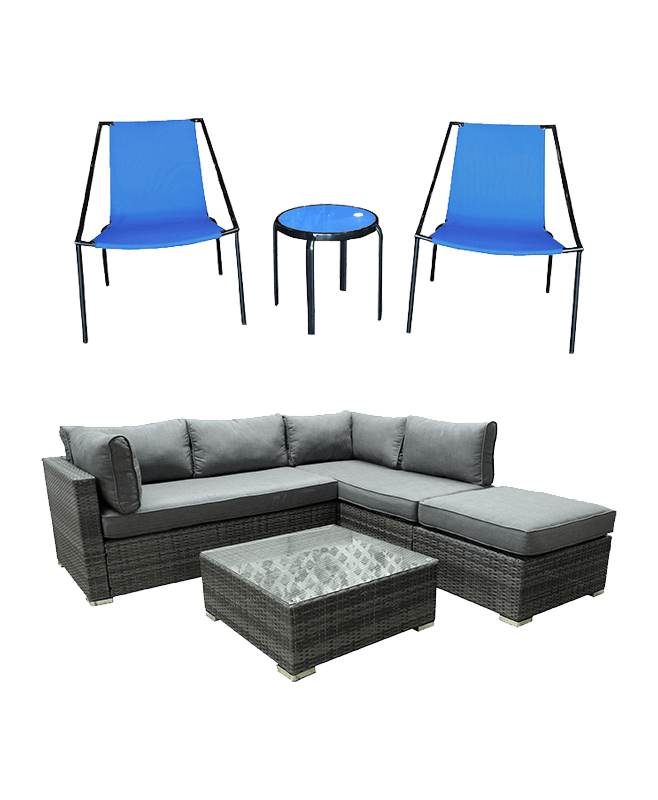 From sectionals, conversational and bistro sets, to a full dining experience, we got you covered. Range of benches, chairs, loungers, swings, gliders and more. 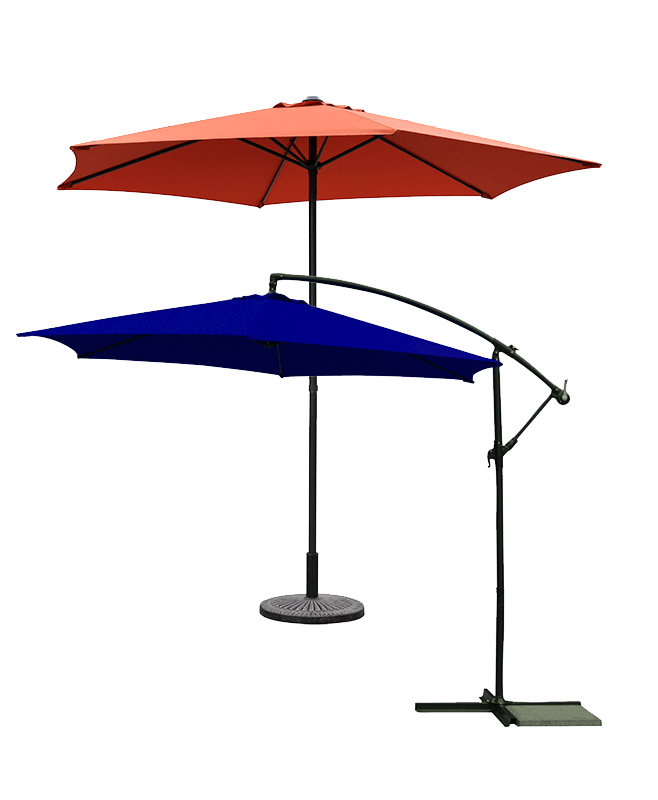 With an extensive range of colors and features to choose from, you can enjoy the summer in shade. 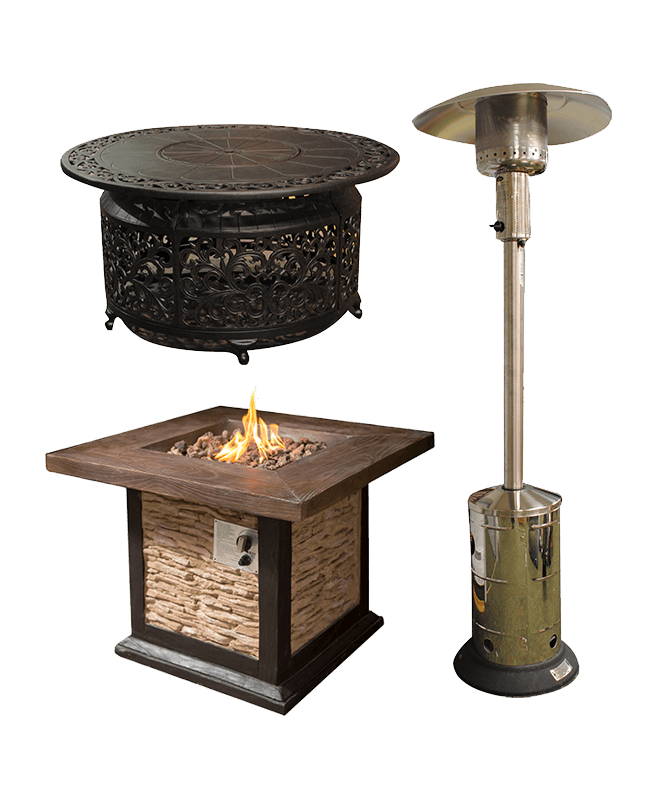 Enjoy late nights in comfort and warmth with our heaters and fire tables. 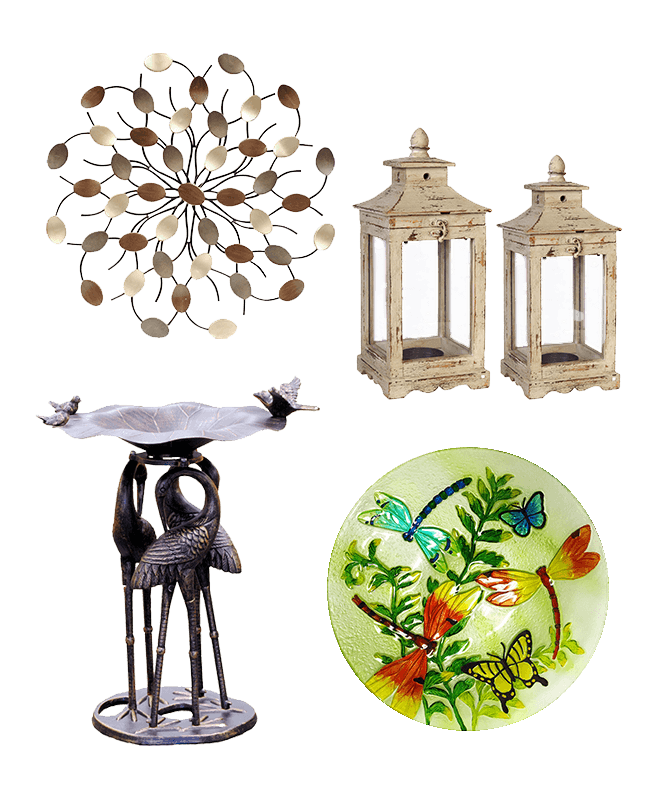 Complete your outdoor spaces with planters, bird baths, lighting, wall art and other accents. 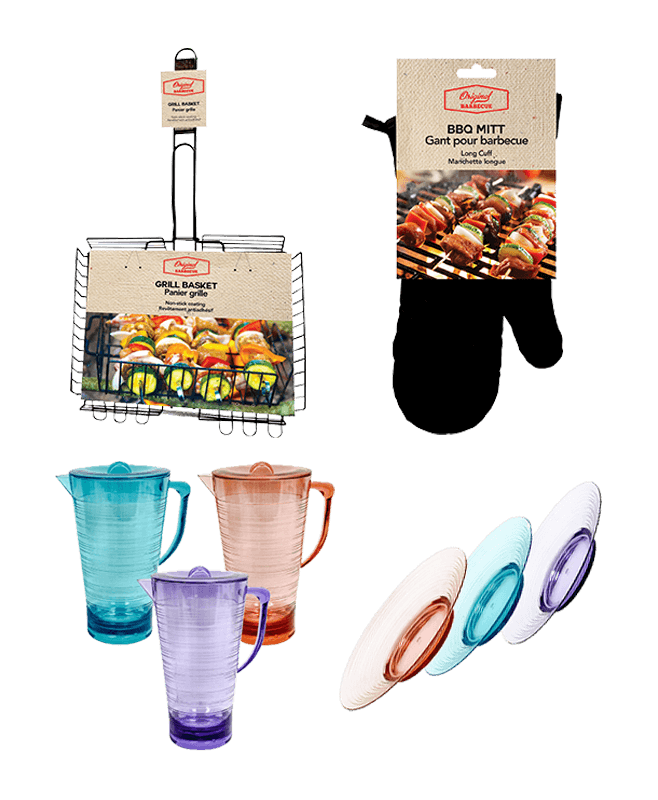 From tableware, to BBQ accessories, all the extra items to make your outdoor experience more enjoyable.